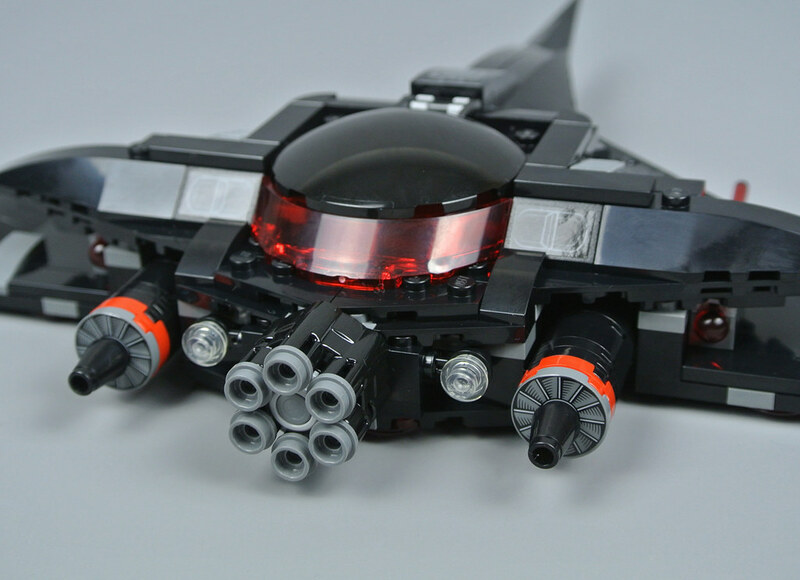 The recent unveiling of 76095 Black Manta Strike came as a pleasant surprise to many fans of the DC Super Heroes theme. 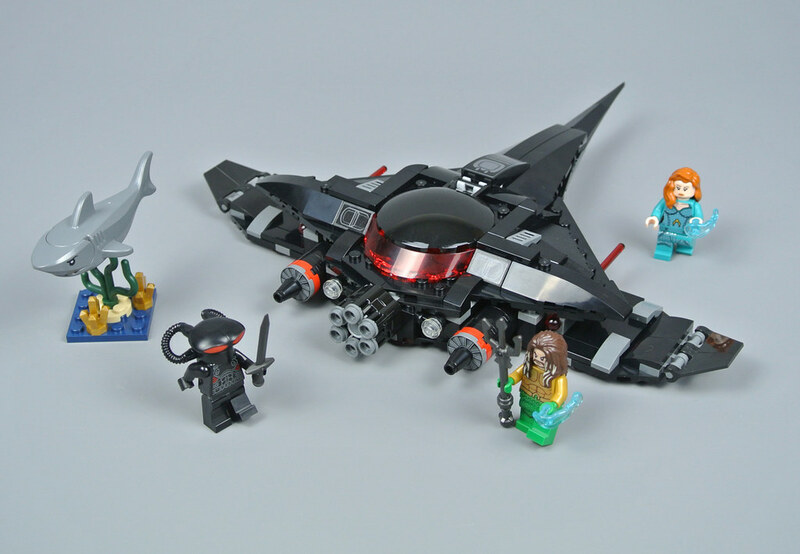 Not only does this set include a superb selection of new minifigures, the most appealing of which is perhaps Black Manta himself, but the villain's heavily armed submarine looks excellent too. However, the price of £29.99 or $29.99 did cause some disappointment as Super Heroes sets containing three minifigures and a small vehicle typically cost around £19.99 or $19.99. Even so, I have been looking forward to building this set as I think its content appears impressive. 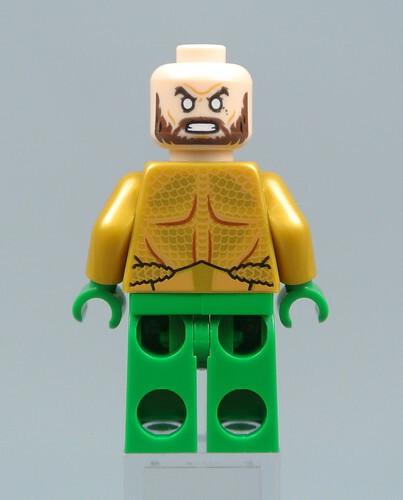 This version of Aquaman is considerably more colourful than the minifigure in 76085 Battle of Atlantis from 2017, wearing bright green trousers and pearl gold chest armour which are both decorated with a beautiful scaly texture. I like the emblem at the centre of Aquaman's belt and the green scales continue onto his torso, matching the source material closely. The green gauntlets look brilliant too. Both sides of the head feature a rugged beard along with two different expressions, one of which looks confident while the other is fixed in a determined grimace. Yellow eyes might have been more accurate than these white ones but the hair piece is absolutely perfect, including tan highlights and tremendous moulded detail. Aquaman carries a pearl dark grey trident which looks pretty good to me, despite only loosely resembling the quindent that he will probably wield during most of the upcoming film. Mera made her first onscreen appearance in 2017's Justice League but will occupy a more prominent in Aquaman. 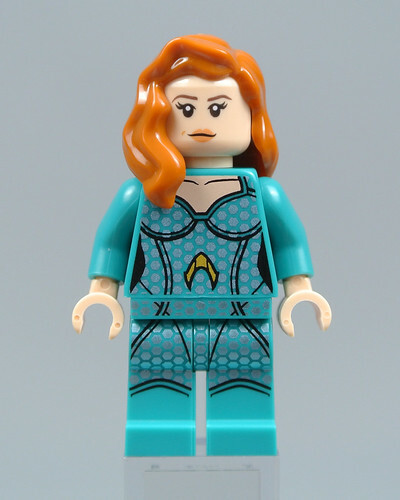 Her teal attire looks marvellous, featuring a metallic silver pattern on the torso and legs which appears quite similar to Aquaman's scaly armour. The distinct boots are excellent and I think teal was a good colour choice as the true shade of Mera's clothing in the movie lies somewhere between blue and green. The hair piece is less impressive. Either red or dark red would have been a more appropriate colour than dark orange and I think the hair style could have been improved too, ideally making use of a component with hair hanging over both shoulders. Mera’s double-sided head looks good though and is shared with Jyn Erso, featuring a neutral expression on one side and a determined snarl on the other. Mera and Aquaman each come with a trans-light blue Power Blast, presumably representing bursts of energy underwater. Ocean Master will occupy the primary antagonistic role during the upcoming Aquaman film but the hero's arch nemesis, Black Manta, will also be making an appearance. 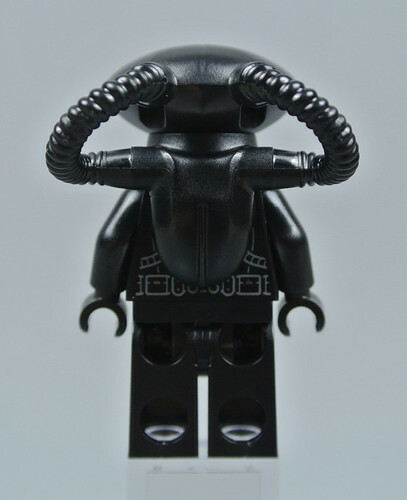 A new version of the villain is accordingly included here, wearing the same helmet as the minifigure from 76027 Black Manta Deep Sea Strike but in black rather than pearl silver. The movie incarnation sports a more bulbous helmet than this figure and a brand new element could have been created, although I think the black colour change is a reasonable compromise. The printed designs on the front and back of the torso are more faithful to the source material, including red streaks on the sides of the chest and some tubes around the abdomen which are visible in the trailer for Aquaman. 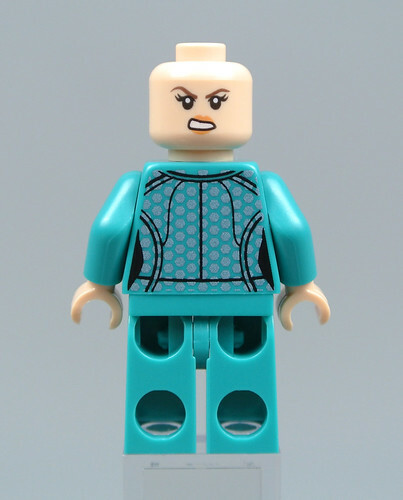 Unfortunately, the minifigure does not feature any leg printing or a separate head beneath the helmet, both of which would have been wonderful, but he does carry a pearl dark grey sword. Aquaman possesses numerous super powers, perhaps the most notable of which is his ability to control sea creatures. A dark bluish grey shark is therefore included, featuring moulded gill slits and printed eyes along with an opening mouth. 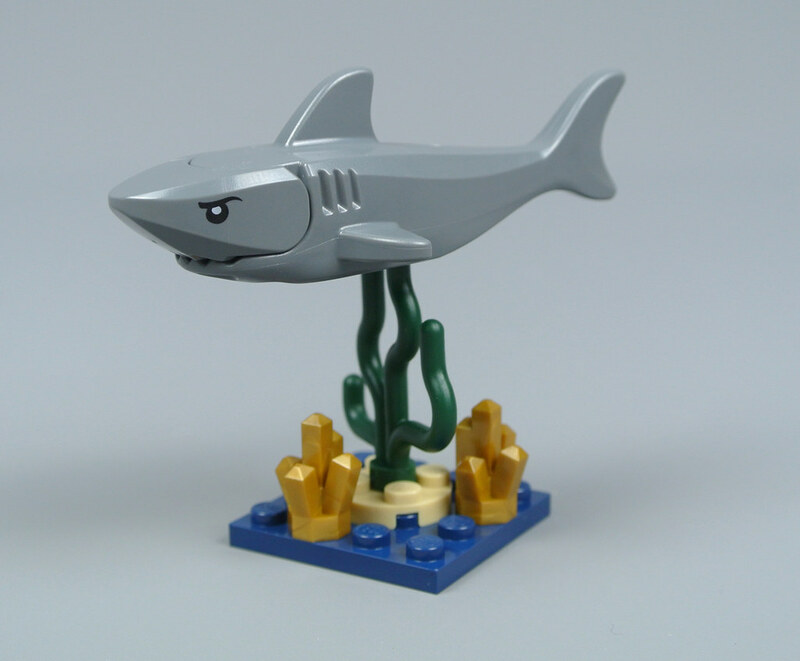 The shark fits neatly on the top of some greenery which is ideal for display and I like the gold nuggets distributed around its base. These are presumably the target of Black Manta’s mission, unless he is intending to retrieve Aquaman’s trident. Black Manta’s submarine measures 25cm in both width and length and takes clear design cues from the appearance of a real manta ray, albeit with a militaristic edge befitting its villainous owner. 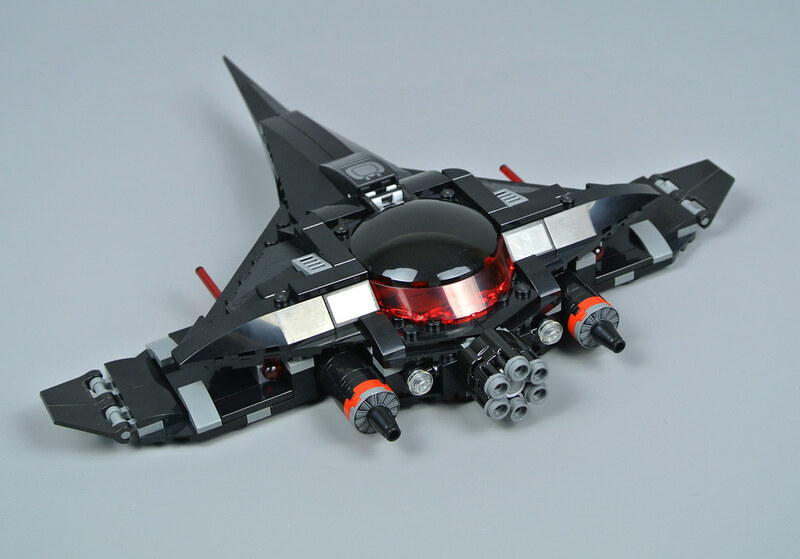 The black and trans-red colour scheme of the craft is imposing and its curved profile looks incredibly sleek. Moreover, the model is sturdily constructed so there is little risk of accidental breakage during play, thankfully. A rotary six-stud shooter is fitted to the front of the submarine. These often appear rather awkward when attached to smaller models but this example looks great in my opinion, slotting nicely between two lights which can be angled up and down. A pair of printed 2x2 round tiles form the vehicle's thrusters and these cylindrical structures continue through the hull, with 1x1 cone pieces forming the thrust nozzles the rear. The rounded cockpit hatch opens to reveal two control panels and a red steering wheel inside. This area is reasonably spacious so will accommodate Black Manta's helmet and you can place his pearl dark grey weapon in a container behind the pilot, as shown below. I like the stickers depicting mechanical details on either side of the cockpit and the stickers inside look good too, featuring a small targeting reticule. In addition to a rotary stud shooter, the submarine is also armed with two spring-loaded shooters which are nestled between two layers of the hull. The trans-red missile tails are very visible but they can easily be removed for display. 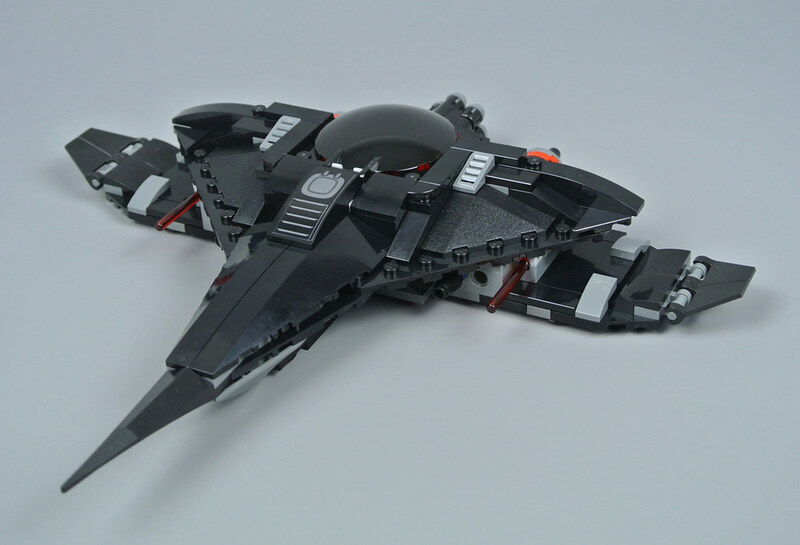 I also think this layered configuration looks a bit strange from certain angles, although design features like this one help to distinguish Black Manta's submarine from past LEGO watercraft. The tapering tail is similarly unusual, narrowing to a rubbery point and therefore looking very sleek. I also think the layered hull design seems more cohesive when viewed from this angle, perhaps because of the angled wedge plates which provide ample support to the craft's rear and partially conceal the spaces between the upper and lower hull sections. 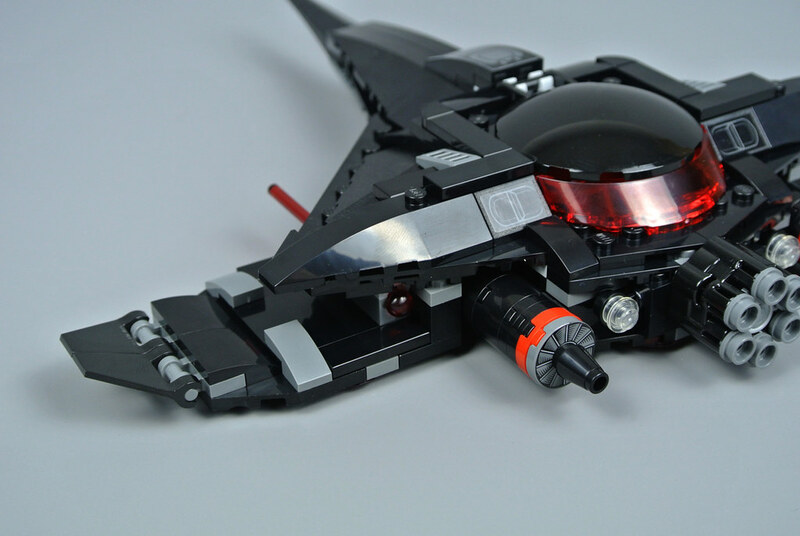 Super Heroes sets are sometimes criticised for their focus upon great minifigures rather than impressive models but I think 76095 Black Manta Strike fares well in both respects. 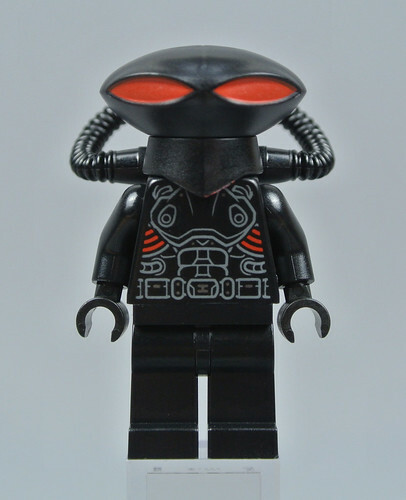 The new Aquaman minifigure is perfect and I am pleased with this rendition of Black Manta, despite the inaccurate shape of his helmet. Moreover, the villain’s submarine is highly detailed so looks superb on display and it includes numerous play features, all of which are incorporated neatly. Mera's hair piece could certainly have been improved and I do think the price of £29.99 or $29.99 is a little expensive, although not to the extent that I was anticipating. Otherwise, however, this is an excellent set on the whole and I would recommend adding it to your DC Super Heroes collection, particularly if you missed 76027 Black Manta Deep Sea Strike from 2015 or last year's 76085 Battle of Atlantis. It looks quite substantial for a $30 IMO. The minifigs look great too. I have the previous Black Manta set, but this one is way better, I'll definitely get it - especially once it's on a discount. Great review as always, thanks! Not really a big fan of the source material but the set looks good enough to warrant a place on my wishlist. I can appreciate this set but I am not a fan of the subject. Great come back from the lack luster JL sets! And maybe more underwater scenery with a few Sea horses or a hammer head shark..
Good set, mediocre price. This issue has been plaguing a lot of sets lately. Picked this up in the recent Argos 342 sale, looking forward to comparing it side by side with my copy of 76027 Black Manta Deep Sea Strike. I’m really excited for this film and for eventually picking up this set. Wondering now if Shazam will get at least 1 set seeing as though the Wonder Woman film and now Aquaman film have gotten 1 set. Im looking forward to captain marvel and shazam sets too, Next year. Beware the Sith Sub! It might have to get modified a little and end up in my Spaceport someday. It's perhaps worth noting this is a Target store exclusive in the US, so expect anything you find on Amazon to be at a markup. I have both Black manta strike and battle of Atlantis, so I have my fill of aquaman Minifigures... Although I think this is a better version of the movie character although, as I have stated in other comments, I prefer the golden haired aquaman closer to the comics and his true character. 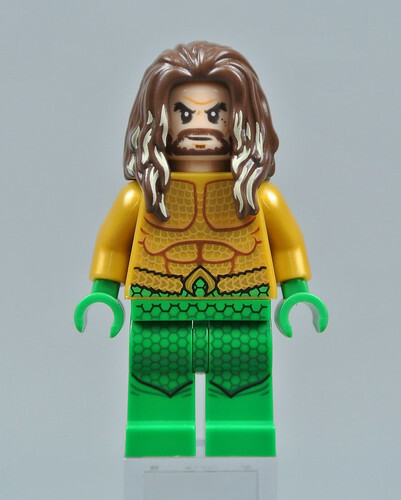 If it wasn't for the fact that I despise this incarnation of Aquaman, this would be a neat little set to get. And what is with the white eyes? It's funny how Mera's color palette looks less cheesy and cartoony than in the movie. This is the first DC set I can skip. Might have to Bricklink the blue chick though. So he'll be fighting Ocean Master and Black Manta in the movie ... and with that, we've run out of Aquaman villains. Looks pretty good. Hopefully, no one wants it so I can get it half-off later. Is it a fair assumption these days that at least in the US, most if not all normal wide release sets can be found for ~20% off every day at Target/Wal-mart/Amazon after a couple of weeks? Seems like thats the new normal and they just gouge people who cant wait a little. I think its worth mentioning when looking at value these days. 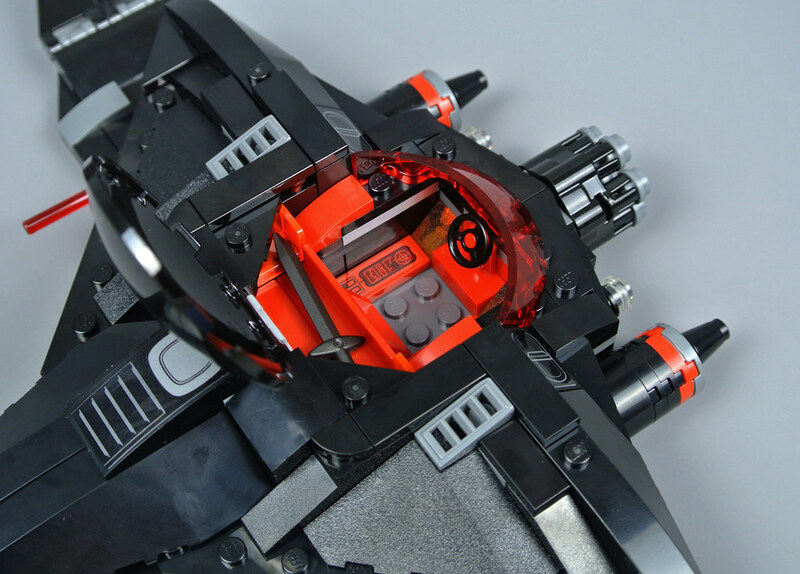 I do love black Lego sets and this one has all the kind of parts that make for a good black custom build when mixed with other sets such as those in the Batman range. Although its a sub craft it has a wonderful stealth look about it - swooshed in flight or in space all the same. Now the £30 mark did feel about £5 over the top. I was tempted to pick this up without MFs (already on Ebay for about half retail) but when I saw the MFs detail in Jang's video, notable is the gold printing and that awesome Manta, I relented. It's a good solid craft and the sleek lines are really attractive. So if you're dithering, bite the bullet. You won't regret it. Considering this is a Target exclusive, I can’t imagine it will go on sale. I never saw the Penguin roller car go on a discount. If I can find this set on sale I will definitely get it. I only want the figures and the ship is worthless to me. Although it looks decent enough. I’ll just end up parting it out like every other super hero set. Anyone else see this and want to moc it into a cylon raider? I like Minecraft more but I WANT THIS!